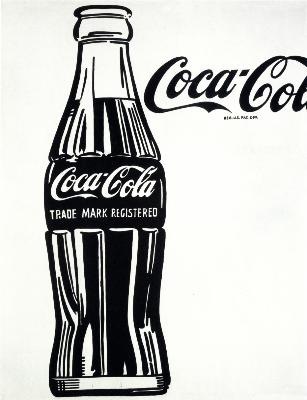 This year marks the centennial anniversary of the creation of an iconic piece of Americana: the Coke bottle. But what you may not know is that classic image started just down Third Street in Terre Haute, IN. You can change the language, the year, or even the ads but the image is unmistakable. It’s always Coca-Cola. Click here to read 15 facts about Coca-Cola that will blow your mind. We'd like to tell you how it all started for us here in Columbus, Indiana. A. E. "Junie" Schumaker started what is now the Coca-Cola Bottling Co., Inc. Columbus, Indiana in the spring of 1912. Mr. Schumaker purchased some bottling equipment and rented a building on Jackson Street from Charles Kimsey. In the beginning, fruit flavored soft drinks were the only items bottled. Then in 1914 the business was expanded to the making of ice cream, calling the products "Puritian Ice Cream." The business of making and selling ice cream continued from 1914 to 1936 when it was sold to Thompson Dairy Co. of Columbus, Indiana. In the meantime, the Coca-Cola Bottling Co. business was moved to 816 Jackson Street. During WWI, in 1916, Mr. Schumaker obtained the franchise to bottle Coca-Cola and distribute this product in Bartholomew, Decatur and Johnson counties. This then gave the company a full line of soft drinks, and in 1942 at the beginning of WWII the company built a new plant at the site where it is today at 1334 Washington Street. Bottling was discontinued, allowing the plant to be used as a warehouse for the wide variety of products now offered by Coca-Cola. In 1956 Mr. A. E. Schumaker sold the bottling business to his son, Albert H. Schumaker, who then passed ownership on to his son and daughter. Four additions have been added to the original building, plus the acquiring of a full line vending service. In addition to traditional favorites, we offer several refreshing teas, Monster, vitamin waters, select Campbells products, and more. For an employment application, click on our Contact page.